Mid-November may have seemed too early for Christmassy weather, but it wasn’t too early for Christmassy books. In fact, it’s almost too late for them, at least in publishing industry terms. Eau Claire author Caroline Akervik says most Christmas books are released in August, allowing ample time for pre-holiday sales. Not so for her latest children’s book, Calvin the Cookie Maker, which was published Nov. 6. But considering the opposition the title character faces in this book, it’s only appropriate that the debut comes a tad late. Akervik’s third children’s book is about Calvin, an elementary school student who is eager for Christmas to arrive. But his exuberance isn’t reciprocated by his family and friends because their holiday spirit is taking a little longer to come. “It’s a story about how you get caught up in the holidays, you’re working, and life is busy,” Akervik said, “and sometimes you don’t pause to take a moment and savor what really are special moments.” Along with that, Calvin also deals with a number of social issues like whether to play with his less-talented friend Perry or participate in the Pond Hockey Classic with some better hockey players. The initial idea for the book came from Akervik’s husband 10 years ago. It was originally envisioned as a picture book, and she wrote a short version a couple of years later and had her children illustrate it. She said it served as a good gift for members of her extended family. Years later, she came upon a copy while cleaning her basement. She remembered it was an interesting story and decided to revise it. Once she finished, she sent that version to Wee Creak Press, a Wyoming-based publisher. They responded that they liked the concept of the story, but they wanted it to be a middle-grade novel. This meant an increase from 2,000 words to more than 10,000. Along with Calvin the Cookie Maker, Akervik has released two other children’s books: A Horse Named Viking in 2012 and White Pine last February. Wee Creek Press has also accepted a non-fiction book by Akervik titled Rescue Dog. She said it was scheduled to come out next February, but will likely be delayed until the summer. She’s also nearly finished with four to five other books but hasn’t submitted them anywhere yet. Akervik said she wants to tinker with them a bit more before officially pitching them to publishers. 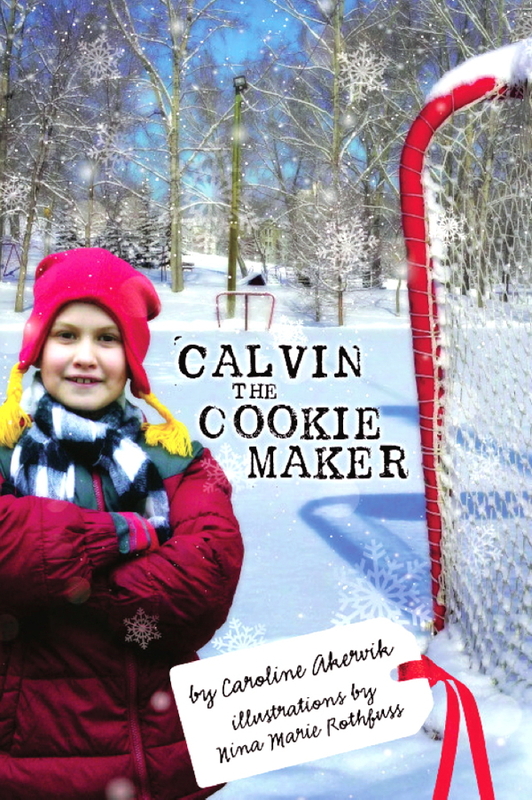 Calvin the Cookie Maker is available in both paperback and e-book formats online at Barnes & Noble and Amazon, as well as at The Local Store, 205 N. Dewey St.